Lisbon needs to sort out Banco Espirito Santo – fast. Despite a recent successful rights issue, Portugal’s second-largest bank by value has a troubled major shareholder and a large exposure to shaky Angolan loans. With Portuguese bond yields up 40 basis points since July 7 and domestic bank shares tanking, a speedy restructuring is needed. BES’s market value has almost halved since May, when details emerged of “material irregularities” at its ultimate parent company, Espirito Santo International. This is the bank’s first big problem. ESI and the chain of intermediate companies in the Espirito Santo group are funded with short-term debt, some of which was sold through the BES retail network. ESI and another group company, Rioforte, appear to be struggling to roll over their debt. Yet another entity, Espirito Santo Financial Group – BES’s immediate parent – has been plugging the gap. It told the market on July 3 that its exposure to Rioforte and ESI had nearly doubled in just six months to 2.4 billion euros “to support the reimbursement of (ESI and Rioforte) commercial paper.” That caused Moody’s to downgrade ESFG’s debt by three notches on July 9. Its senior bonds are trading at just 60 percent of par. That leaves BES with a problem: it has lent over 1 billion euros to ESFG and Rioforte combined. With roughly 6 billion euros of core Tier 1 capital, default would hit its 9.8 percent Basel III core Tier 1 ratio just as the European Central Bank is stress testing euro zone banks. A BES group restructuring, as described in Portuguese media on July 9, would help – particularly if it can shield ESFG, BES’s largest direct exposure. The snag is that the reported terms don’t sound that great for the holders of commercial paper. They would mean losses of up to 70 percent, according to Breakingviews calculations. A restructuring might create other problems. Holders of group commercial paper might sue BES for selling them the debt. Then there’s BES’s Angola business. The bank’s operations in the former Portuguese colony grew dramatically after 2005, even during the Portuguese sovereign crisis in 2011-12. It relied on its parent for funding: the loan-to-deposit ratio hit 220 percent by 2013. That rapid growth is now backfiring. Bad loans in Angola soared 84 percent between 2010 and 2013, according to KPMG. The Angolan government has given BES a fuzzy-sounding “personal guarantee,” but that only covers 70 percent of the 6 billion euro loan book, and expires in mid-2015. If BES Angola were to fail, BES could have to write down the value of its stake – or even face losses on $2.7 billion of intra-group loans. 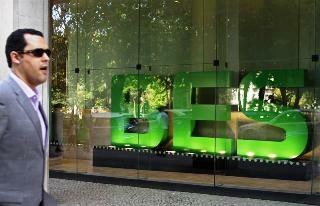 The Bank of Portugal, which regulates BES, has started to do the right thing. It forced BES to appoint an outsider when Espirito Santo family patriarch Ricardo Espirito Santo Salgado stepped down as executive chairman last month. It also has 6.5 billion euros remaining in its Bank Solvency Support Facility if BES needs propping up. Portuguese authorities need to do more. The problem is understanding how bad the losses really are. Citi reckons BES’s capital common equity Tier 1 ratio could fall to 3.1 percent in a worst-case scenario, but it may never come to that. BES should provide far better disclosure on the potential exposures it has to its parent companies; how much debt is secured; and what it is secured on. And it should disclose what its potential losses in Angola could be, and how much of the intra-group debt is secured. Once BES’s position is clear, it will be able to raise more capital if needed, or seek support from the government. Second, the government needs to manage as best it can the fallout from the Espirito Santo group companies, pushing through an orderly restructuring, and making sure it is equitable for creditors. It will be traumatic for lenders, particularly those who thought they owned safe commercial paper. One creditor, Portugal Telecom, has lost a third of its market value in the last month. Yet however painful, the restructuring should be manageable. The Espirito Santo group has managed to create a national crisis out of a family drama. Dawdling could make an already big mess even bigger. A man walks in front of a window of the headquarters of Portuguese bank Banco Espirito Santo in Lisbon. The sale of a €2.6bn portfolio of project and corporate loans by Banco Espirito Santo sent shockwaves around the loan market last week, as the bank tried to stem heavy lending losses arising from persistently high funding costs. Banco Espirito Santo shares were trading down 17 percent on July 10 at 0.51 euros, a day after rumours surfaced of a debt restructuring at a holding company controlled by the bank’s founding family. BES is quarter-owned by Espirito Santo Financial Group (ESFG), which is 49 percent owned by another entity called Rioforte, itself fully owned by a Luxembourg-based parent called Espirito Santo International (ESI). Ten-year Portuguese bond yields were trading at 4 percent, compared to 3.6 percent on July 7. Shares in ESFG were down 9 percent on July 10, a day after Moody’s cut its credit ratings three notches to Caa2 and cited high exposures to parent entities ESI and Rioforte. Weekly newspaper Expresso reported on July 9 that clients holding the debts of Espirito Santo family companies had received proposals to swap the debt for equity. The paper said 85 percent of commercial paper would be converted into equity and 15 percent would become long-term debt. Separately, business daily Diario Economico reported that the holding company was likely to present a plan to authorities in Luxembourg before proposing it to creditors. ESI has 7 billion euros ($9.6 billion) in debt, the paper said. Portugal Telecom, which owns 2.1 percent of BES, recently disclosed that it owns 897 million euros of Rioforte debt. A spokesperson for BES said the bank would release further details soon. The Bank of Portugal and ESFG didn’t respond to emails seeking comment.